More than 30,000 political prisoners were executed in Iran in less than three months in the forgotten summer of 1988. He decreed that “as the treacherous Monafeqin [Mojahedin] do not believe in Islam and what they say is out of deception and hypocrisy… it is decreed that those who are in prisons throughout the country and remain steadfast in their support for the Monafeqin [Mojahedin], are waging war on God and are condemned to execution”. “Those who are making the decisions must not hesitate, nor show any doubt or be concerned with details. They must try to be most ferocious against infidels. To have doubts about the judicial matters of revolutionary Islam is to ignore the pure blood of martyrs”, the old cleric wrote in the fatwa. The fatwa goes on to entrust the decision of whether or not to execute prisoners to “death committees” – three-member panels consisting of an Islamic judge, a representative of the Ministry of Intelligence, and a state prosecutor. During the implementation of the executions, Khomeini’s son wrote his father about doubts being circulated among judges on the details of the executions. “Annihilate the enemies of Islam immediately. 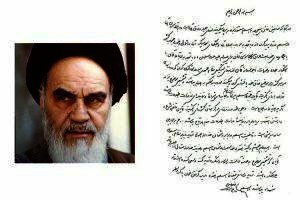 As regards the cases, use whichever criterion that speeds up the implementation of the verdict”, was Khomeini’s chilling response. And so it went. The political prisoners, some children, that Khomeini considered his enemy, were asked one simple question: What is your political affiliation? Those who responded Mojahed instead of Monafeq (meaning hypocrite) were hanged from cranes, six at a time, while others were killed by the firing squad to expedite the “annihilation”. When met with strong objections from his successor Ayatollah Montazeri, Khomeini lashed out, stripping him of his position and financial sources and wrote in a letter dated 1989, “you give priority to your views over mine… you are no longer eligible to succeed me as the legitimate leader of the state”. Montazeri was put under house arrest for the rest of his life until his death in 2009. After his death, his memoirs and audio recordings were published which revealed shocking details about the massacre and the brutality of Khomenei. 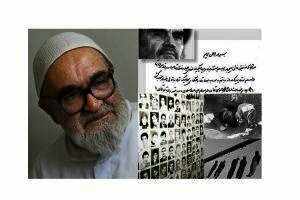 In the audio recording, Montazeri was heard saying that the 1988 massacre of political prisoners was “the greatest crime committed during the Islamic Republic, for which history will condemn us”. The Iranian regime continues to deny the 1988 execution of political prisoners. Many of those in the so-called death commissions, formed in more than 70 towns and cities at the time, still hold positions of power and have not been held accountable. 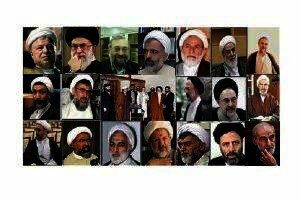 According to the Justice for Victims of 1988 Massacre in Iran (JVMI) those involved in these brutal killings include the current Supreme Leader, the Vice President of Iran for Legal Affairs, four members of the State Expediency Council, six members of the Assembly of Experts (the highest decision-making body of the regime, tasked with selecting the Supreme Leader’s successor), and at least 12 high-ranking Judiciary officials including the current Justice Minister, and top commanders of the Armed Forces. The greatest crime committed during the Islamic Republic, for which history will condemn us. Additionally, Some of Iran’s largest financial and trade institutions are run and controlled by the perpetrators of the 1988 massacre. 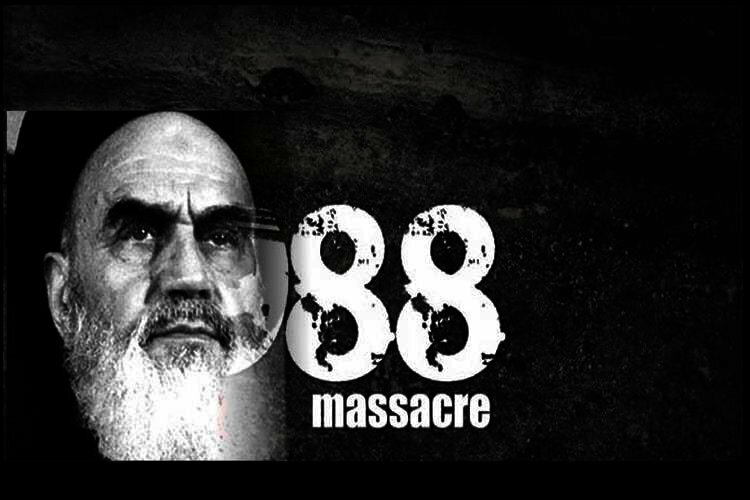 Lack of action by the international community over the massacre has greatly emboldened the regime, so much that Ayatollah Ahmad Khatami, a board member of Iran’s Assembly of Experts and Tehran’s acting Friday prayer leader, in a sermon on 21 July 2017 cried out against calls for justice over the 1988 massacre of political prisoners in Iran. Khatami went as far as saying medals of honor should be awarded to those who, under the orders of Ayatollah Ruhollah Khomeini, executed thousands of prisoners in the summer of 1988. “Confronting them (imprisoned dissidents) and wiping out the Monafeqin (People’s Mojahedin Organization of Iran) was one of the Imam’s most righteous and valuable actions, and all of the persons who complied with his edict should be awarded a Medal of Honor”, he said. 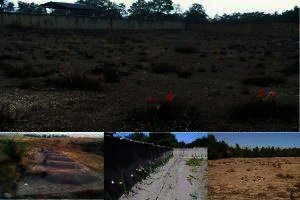 The regime is also busy destructing hundreds of individual and mass, unmarked graves all over Iran, believed to be the burial site of executed political prisoners. In June 2017, Amnesty International published a news item on its website warning that the Iranian authorities may be attempting to desecrate a mass grave site in Ahvaz, southern Iran that would destroy vital forensic evidence and scupper opportunities for justice for the mass killings of political prisoners. And so it goes that the massacre of 1988 remains to be one of the darkest stains on the recent history of mankind, as one of the least exposed and discussed crimes against humanity. The culprits and those responsible for the execution of 30,000 political prisoners in the summer of 1988 should be brought to justice.